There are a few Steelhead hanging around the spawning salmon and the fishing is best at low light, approach with some stealth in the right spots and you will be rewarded with a couple chrome bullets. Pictured below, Martin and Lee's hard work was rewarded with a little chrome today. 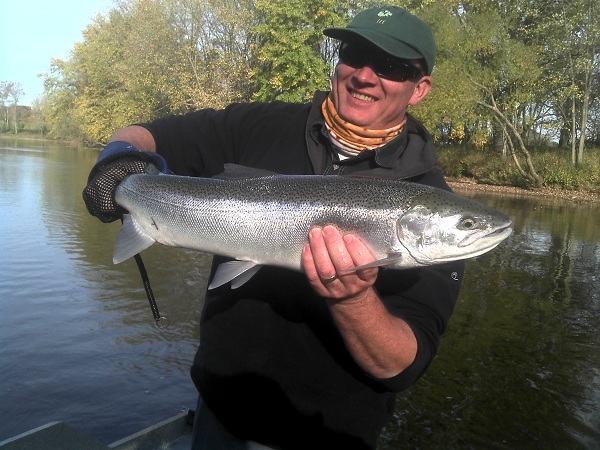 10/12/2011 Lee with his first ever Steelhead a chrome bullet, congrats!! 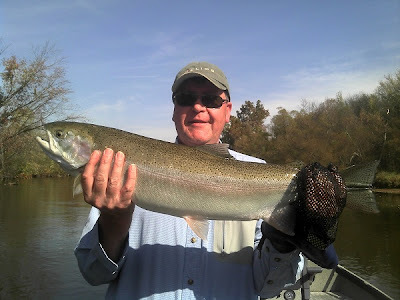 10/12/2011 Martin with a great hen Steelhead from today.